If reading that list had you nodding your head in recognition, then you may be living in a place where the dry air is bad for your health. If so, it may be time to consider buying a cool mist humidifier. Cool mist humidifiers are the most popular humidifier choice on the market. They include a refillable water tank and either a fan that blows air that’s been cooled by the water out into the room or a diaphragm that vibrates to break water down into a mist. They’re often preferred to warm mist humidifiers (the other main humidifier option) because they’re more affordable, they work for larger areas, and they’re easy to clean. They do require some regular maintenance though, so you should only buy one if you’re willing to refill it frequently, clean it regularly, and replace the wick occasionally. Not staying on top of the maintenance can lead to mold and bacteria in the tank, which makes the air they produce harmful rather than helpful. If you’re confident that this is the right type of humidifier for you, our buyer’s guide will provide you all the main information you need to choose the best one for your needs. When you start browsing your cool mist humidifier options, you’ll notice two main types you can choose between. Evaporative cool mist humidifiers are the most common option, because they’re more affordable and have been around longer. These work by having a fan blow the cool water in the filter out into the room. They include a wick filter that absorbs the water and removes impurities to make sure the air released is clean. Evaporative cool mist humidifiers require frequent cleaning in order to avoid the growth of mold and you’ll have to remember to replace the filter, which will also add to the long-term cost of owning one. One of the main downsides of evaporative cool mist humidifiers in comparison to ultrasonic ones is that they’re loud. 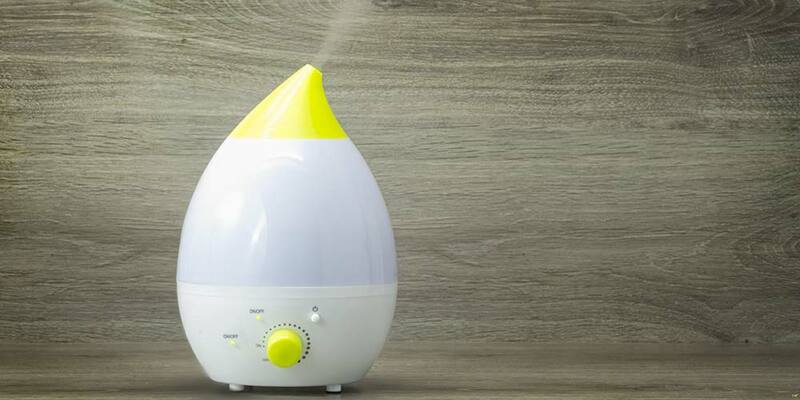 Since many people keep their humidifiers in the bedroom, the noise could potentially have a negative effect on your ability to sleep soundly through the night. Ultrasonic cool mist humidifiers are popular with the consumers that find evaporative humidifiers too loud and the maintenance required to be an annoyance. They have a diaphragm that vibrates at a high speed in order to break down water into a mist. With these, you don’t usually have to worry about replacing a filter, although you will still have to refill the tank and keep it clean. They’re much quieter in operation than evaporative humidifiers and they use less energy. 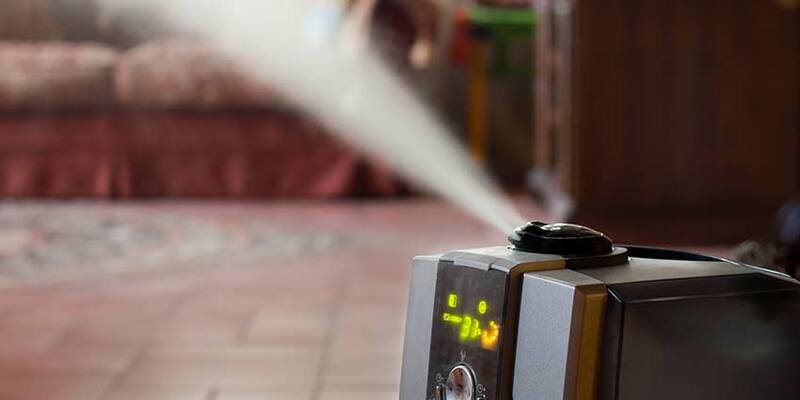 The main downside of ultrasonic humidifiers is that the process used to create a mist also produces white dust that will spread around the room during use. They also can’t humidify spaces much larger than a medium-sized room, so if you’re hoping for a humidifier that can handle your larger rooms or your whole house, you’re out of luck with these. Both types of humidifiers usually do a good job, deciding which one is right for you is mostly a matter of whether you value cost over convenience and noise levels. In addition to understanding the different types of cool mist humidifiers available, there are a number of different factors you should think about when browsing your options in order to choose the specific model that’s right for you. 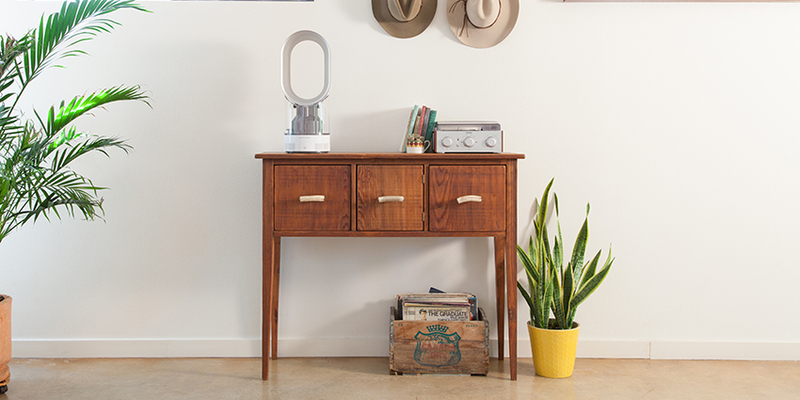 Cool mist humidifiers can cost anywhere from $20 to over $600. 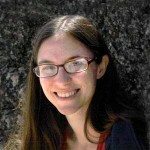 A number of factors contribute to the difference in price for different models. One of the main ones is the amount of space the humidifier covers – a whole house humidifier will understandably cost you more in most cases than one that only works for a small room. Another, as previously discussed, is whether you go with evaporative technology or an ultrasonic humidifier. For a similar amount of coverage the ultrasonic model will typically cost you more. In many cases, spending more on a humidifier will result either in a product that lasts a longer time without problems, or one that will be easier to use on a regular basis. In addition to considering the upfront cost, think about ongoing costs associated with your humidifier. All cool mist humidifiers will go through tanks of water to function, so using one continuously will add a little to your water bill. For evaporative cool mist humidifiers, you also need to think about the cost of replacing the filter periodically, and you can expect to spend a little more in energy costs than you would with an ultrasonic model. We asked, you answered. Click here for see the best cool mist humidifiers ranked by the reviews from our customers. 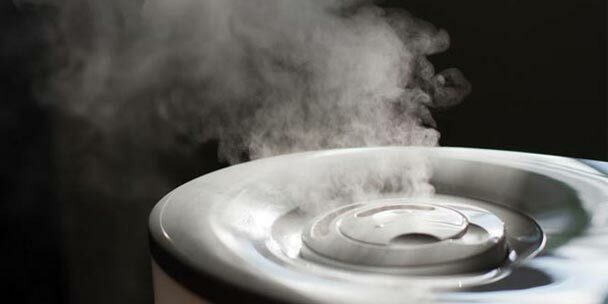 No matter what type of you humidifier you are using, it will require maintenance to function properly. It’s important that you keep the device clean to avoid the build up of bacteria and mold, and you’ll need to refill the tank every time the water is used up, which could be more than once a day for many models. In addition, with evaporative humidifiers, you have to remember to change out your filter to avoid ending up with mist that’s dirty. And with ultrasonic humidifiers, you can expect to do more dusting and cleaning around the room to deal with the white dust the humidifier produces. No matter the specific cool mist humidifier you go with, maintenance is part of the equation. But you should consider in advance what types of maintenance you’re more willing to deal with than others and factor that into your decision. Many of the most affordable humidifiers you’ll see in your search are only designed to humidify small spaces. To cover more territory, as in for the larger rooms in your house or to humidify the whole house at once, you have to seek out machines designed to humidify larger spaces. If you’re looking for a humidifier that will take care of a small room or just the space around a bed, a tabletop or portable humidifier will probably do the trick. These will usually work for spaces up to around 300 square feet, and in some cases may go as high as 500 square feet. For larger rooms, you’ll need to look for whole room humidifiers that can cover somewhere in the range of 500 to 1,000 square feet. And if you want one that can handle an even larger space, say your whole apartment or home, then look for a whole house humidifier that can tackle over 1,000 square feet. The product specifications for any cool mist humidifier you look at should be able to provide details on the humidification area the product’s designed for. If you’re not sure of the size of the space you have in mind for your humidifier, go ahead and measure it before you settle on a specific model. You won’t be satisfied if you don’t feel your humidifier is effectively working in the space you need it to. Your cool mist humidifier will need to claim a spot in whatever room you choose to use it in, so it’s important to have a spot in mind in advance of starting your search so you can be sure to choose one that fits. Many tabletop humidifiers that are good for tiny homes and smaller spaces won’t require much room at all and will be easy to fit on a bedside table or desk. Some larger whole room and whole house models will be a little trickier to find room for and you may have to make space for them. In either case, it’s worth measuring the available space you have before making a decision so you don’t end up with something you can’t manage to fit where you need it. For any humidifier that will be placed in a bedroom, you have to consider whether the noise will affect the resident’s ability to sleep (whether that resident is you or one of your family members). Evaporative cool mist humidifiers tend to be louder because of the fan they use, although some models advertise being quieter than others. Ultrasonic humidifiers are known for being quiet in general. 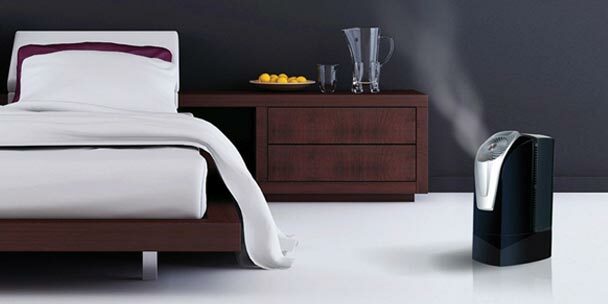 If you know you’re sensitive to noise when you sleep, make a point to look for a cool mist humidifier that won’t disrupt your ability to get those Z’s. One of the most frequent (and potentially annoying) maintenance tasks you’ll have to deal with when you own a cool mist humidifier is refilling the tank. 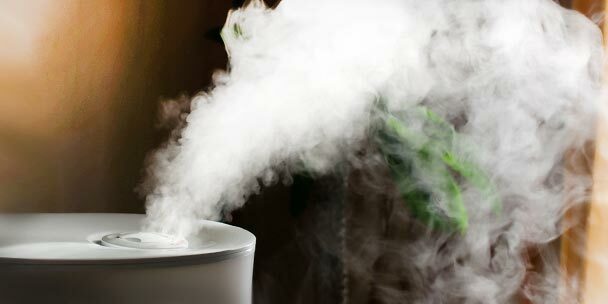 The larger a space a humidifier treats, the faster it will go through water. But the larger the tank is, the longer you’ll be able to go without having to deal with refilling. If you want to save yourself the trouble of frequent refills, look for a humidifier with a larger tank capacity. In most cases, your humidifier will be claiming space in a room you spend a lot of time in. Ideally, you want it to look good and fit into the space. 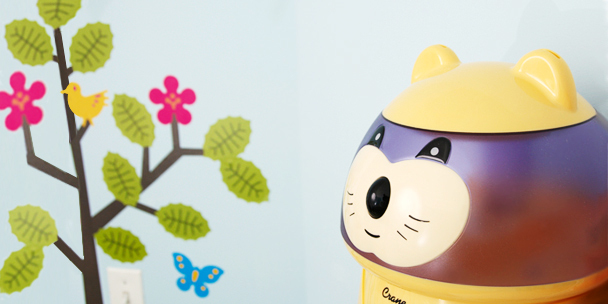 Humidifiers come in a wide variety of styles and colors, including some cutesy styles that are great for kids’ rooms. If you want something that matches the particular aesthetic of your room, you have some options. Take some time browsing to see what works best visually for your space. Combination Models — You can find humidifiers that offer settings for both warm mist and cool mist, which can come in handy if you want to switch between them during different seasons. Humidistat — A humidistat measures the humidity in the room in order to automatically turn the humidifier off when your desired humidity level is reached and back on when the room drops below it again. Timer — If you don’t want the humidifier running all the time, you can set a timer that will automatically turn it on and off at set times of day. This can save you from having to refill the water as often and make sure you still come home to a comfortable room at the end of the day. Adjustable Output — This option allows you to decide how humid you’d like your space to get. If you’re worried about the humidifier going too far and making things too humid, this gives you more power. Maintenance Reminders — If you’re not good at remembering how often you need to replace filters or clean things out, then a cool mist humidifier that offers built-in reminders for that kind of thing will be useful. Auto Shutoff — Some models will automatically shut off when the water tank gets too low and/or when the level of desired humidity is reached. One last thing you should consider before picking your cool mist humidifier is brand reputation. Going with a brand known to make humidifiers that are high quality and last a long time will increase your chances of being happy with your purchase. To provide you a shortcut for learning about the different brands available, we looked at reviews of cool mist humidifiers sold by each. Here’s what actual customers are saying. 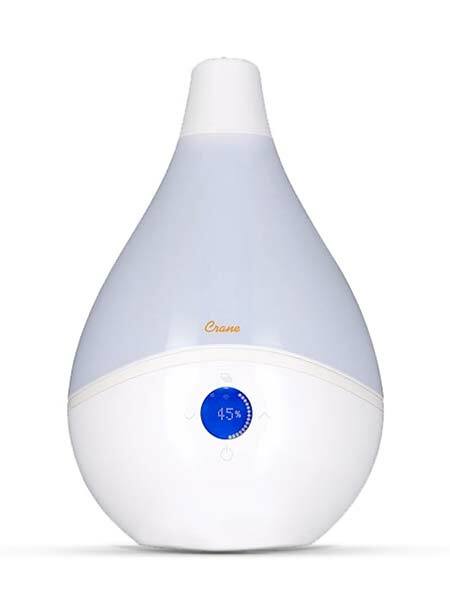 Crane makes many attractive cool mist humidifiers (including some in fun kids’ styles) that are generally well reviewed by customers. Most reviews praise the humidifiers for being quiet, affordable, and looking good. Several say they’re pleased not to have to deal with filters and many mention their sinus issues improving with the use of their Crane humidifiers. A few reviewers complain about their humidifiers starting to have problems relatively soon after purchase, but they seem to be in the minority. Your chances of being happy with a Crane cool mist humidifier are high. 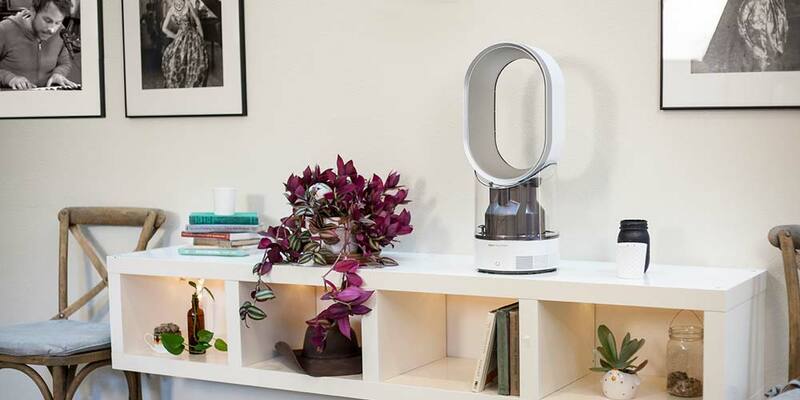 Dyson sells a stylish cool mist humidifier that earns praise from most customers for having an eye-catching design, great features, and doing an exceptional job. It’s costly, but many customers that have tried cheaper humidifiers over the years say in this case, the extra cost is worth it. If you’re willing to spend the money, reviews suggest you’ll be happy with Dyson. Essick Air provides a range of cool mist humidifiers. Most reviews across the different models say their humidifiers work well. Although customers are generally happy with the performance, there are a number of nitpicky complaints about issues like the noise levels and how frequently you need to refill the humidifier. Most customers are happy with the humidifiers overall, while feeling there are ways they could be better. Honeywell sells a number of cool mist humidifiers that are generally well reviewed by customers. Reviews say the humidifiers work well, are quiet, and are easy to clean. A few customers received humidifiers that had issues soon after purchase and some disliked how frequently the humidifier needed to be cleaned or the filter replaced, but most customers are happy with Honeywell. Stadler Form offers attractive cool mist humidifiers in an array of sizes and styles. Their humidifiers earn generally positive reviews from customers that say the humidifiers are beautiful, effective, and quiet. A few models earn some complaints from customers for having problems after a few months of use, so this is a case where checking out product-specific reviews is worthwhile. The overall feeling about Stadler Form’s humidifiers is positive though. Vornado sells whole-room humidifiers, including one designed with the safety and comfort of babies top of mind. Their products earn predominantly positive reviews. Customers say the humidifiers are quiet, work well, and are easy to use. Some reviewers complained about the humidifiers being hard to maintain or starting to grow mold soon after purchase. More customers than not are happy, but it doesn’t hurt to check the reviews to see what you can expect with Vornado. 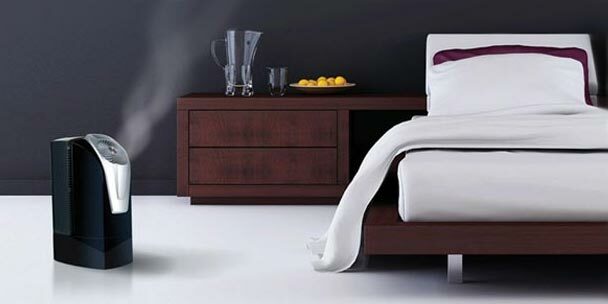 The right humidifier can help you sleep more soundly and feel healthier each day. Don’t suffer through one more day with a dry throat or itchy eyes when a simple purchase can solve the problem for you. Figure out what your priorities are and identify the right cool mist humidifier for your needs.